CC Carpentry & Building Ltd - Builder, Carpenter based in Totton, Hampshire. At CC Carpentry we provide a wide range of carpentry and building services from kitchen fitting to new builds. Over the past 7 years we’ve been building a fantastic reputation for reliability & quality by giving our customers the professional service we feel they deserve. We have over 30 years of combined experience in the industry and undertake all insurance work. We are fully insured for all domestic & site work and offer extremely competitive prices with flexible working hours. 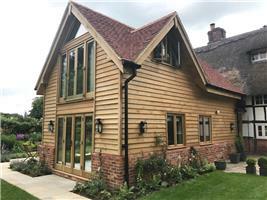 We cater for all budgets and tastes so if you’re looking for a well-established carpentry and building company in the Southampton, Eastleigh, Locksheath, Winchester or Hampshire areas, then don’t hesitate to get in touch today and we will be happy to help.